Wild Idaho Rising Tide (WIRT) is hosting a potluck at the WIRT Activist House (call for address) tonight, Tuesday, July 2, at 7 pm, for everyone to meet Doug Grandt and John Pappan, who came from Nebraska to join our journey to the Tar Sands Healing Walk. Fellow traveler James Blakely will arrive from Boise later this evening. John of the Omaha Tribe will offer a pipe ceremony as we gather for our departure at 7 am on Wednesday morning, July 3. We will travel and document the industry-preferred megaload route on one leg of the trip, as part of our shared regional activism against Alberta tar sands exploitation. The Palouse Environmental Sustainability Coalition (PESC) and Wild Idaho Rising Tide are coordinating a carpool/caravan to Fort McMurray in northeastern Alberta, Canada, to join with hundreds of indigenous and grassroots allies and activists from across the continent and the world in the Fourth Annual Tar Sands Healing Walk on Friday and Saturday, July 5 and 6. 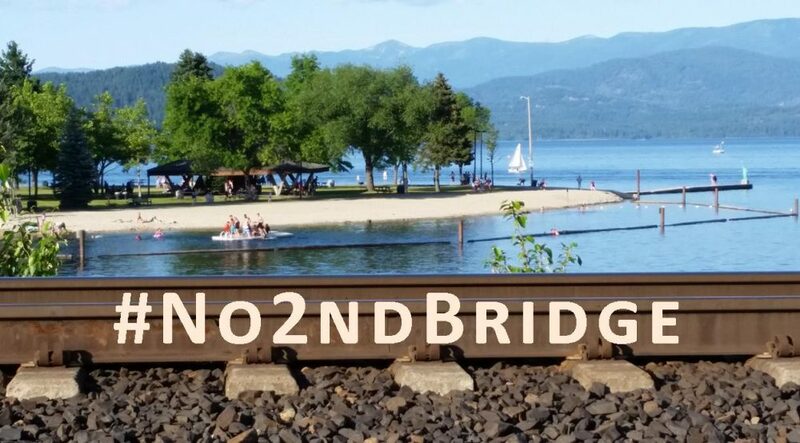 The eight Idaho and Nebraska participants in the Second Tar Sands Solidarity Journey will depart Moscow, Idaho, just before the Fourth of July weekend, on Wednesday morning, July 3, and return on Tuesday afternoon, July 9. They offer opportunities to share expenses and supplies during a summer camping trip to and from the largest industrial project on Earth, retracing routes of tar sands megaloads. Tar sands projects intensively surface mine and steam blast and extract from underground heavy bitumen, one of the planet’s dirtiest oils, requiring massive amounts of energy and water to produce. With tailings ponds leaking into the Athabasca River and smoke stacks belching greenhouse gases, oil corporations that exploit tar sands exhaust and contaminate air, water, land, natural resources, and communities all the way to the Artic Basin, with toxins that directly jeopardize human, wildlife, and environmental health. They also occupy traditional territories, compromise indigenous rights, encourage pipeline construction and spills, and exacerbate climate change. Many groups have actively engaged and educated the public, to expose this vast destruction and to promote more diversified, local economies and healthier progressions toward alternative, sustainable energy and transportation. Inspired to heal the people and places devastated by tar sands development, the Tar Sands Healing Walk is not a rally, march, or protest, but a respectful acknowledgment of suffering due to unhealthy energy addictions. At a lakeshore encampment, activities on Friday, July 5, feature meet-and-greet presentations and workshops. On Saturday, July 6, a pipe ceremony at a park precedes the shared stories, prayers, and songs of the healing walk through tar sands facilities, followed by an evening feast and entertainment in a village center. Event coordinators enthusiastically invite regional community participation in the solidarity journey and healing walk. Organizers also welcome ideas and co-leadership of actions in the interior Northwest concurrent with the healing walk, such as Native drum circles or other demonstrations of solidarity. For further information, visit the enclosed websites or contact Wild Idaho Rising Tide at wild.idaho.rising.tide@gmail.com or 208-301-8039 or the Palouse Environmental Sustainability Coalition at epfuerst@frontier.com or 509-339-5213.